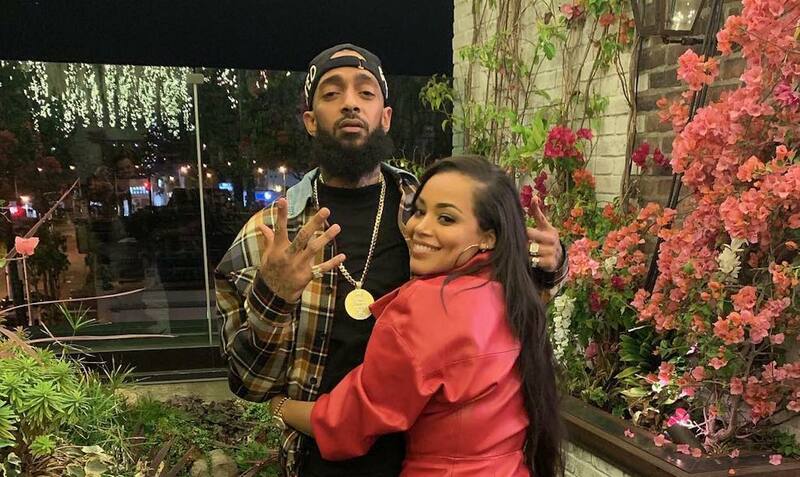 Lauren London has broken her silence on Nipsey Hussle’s death. Perhaps the person who felt the tragic loss the most is Lauren London who has a baby boy with Nipsey Hussle. The two have been together for several years and are very close. Since his murder on Sunday, the actress remained silent as she privately copped with her loss with the help of family and close friends. On Tuesday, just hours after LAPD confirmed that they have the suspected shooter Eric Holder in custody, London speaks on Instagram. A lot of her celebrity friends have commented on her post including Lala Anthony, Toya Wright, Teyana Taylor, Karrueche Tran, Cassie and more. “I am so sorry,” Cassie wrote. “You’re one of the strongest people I know in the world. Praying for you and the family nonstop. There really are no words. Here for you and the babies always sis. I love you Leather. Nipsey Hussle was shot six times and killed on Sunday in what cops believed was a personal dispute between the Victory Lap rapper and the suspect.